Old school is back once again. 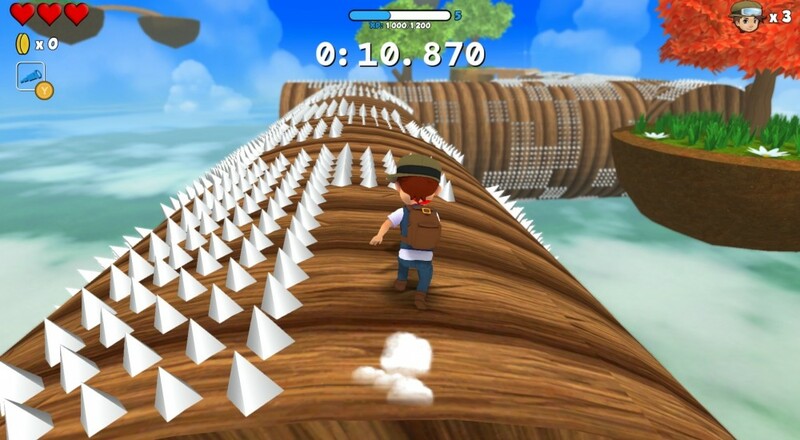 Recently launched as a Steam Early Access game, Poi from PolyKid aims to bring back those feelings of fun and exploration we had running around 3D platforming games of old. Remember how awesome Super Mario 64 and Banjo-Kazooie were? Well, Poi is just that, updated for us hip and cool modern gamers. The world of Poi is built on a series of levels accessible via airship. Each one is themed around a certain environment, with a grassy canyon and a bubbling magma field starring as the first two arenas. Levels host a number of explorer talismans you collect one at a time. Climb to the top of a certain tower, grab a talisman. Seek out the seven hidden keys, find a talisman, that sort of thing. In addition to set level goals, you also gain experience points for uncovering new and interesting parts of the world, rewarding you for poking your nose in every corner. A great big explorer's book keeps track of the cool stuff you found and have yet to find. There's always something new to find and collect. Always. At the time of writing, Poi has yet to implement the co-op mode planned for future release. Before the full version hits, at least two local players will be able to join in and explore levels together, which will work really well for a game so heavily reliant upon running around and seeing what you can see. An early video teaser shows online co-op in play, but the Early Access text doesn't mention non-local play as one of the planned features. Poi is currently available in Early Access on Steam. Playing it will make you happy. Very happy. Page created in 1.2396 seconds.